Location: 35 Minutes east of Sherwood Park on Hwy 16 located on the Southside of the town of Mundare. 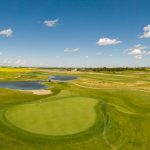 Whitetail Crossing Golf Club is a Championship 18-Hole golf facility located only 35 minutes east of Sherwood Park on the Yellowhead Highway. The par 72 Puddicombe designed course incorporates native area’s existing ridges, wetlands and natural features. Over half the holes have either water or naturalized wetlands, three holes are cut out of the existing bush and the remaining five holes share a links style and play with an abundance of sand and native grass planting. The 7,100 yard prestigiously manicured course continues to receive rave reviews and is known to have the best greens in the area. 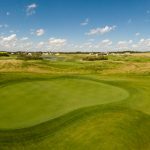 Practice Facility: The key to refining your golf game is through practice, the Practice Facility at Whitetail Crossing offers a massive grass teeing area with multiple target greens. This full-length facility is sheltered from the west winds by a natural ridge of existing trees. To complement the practice facility, you will find a large putting green across from the clubhouse that is of the same high caliber 4quality as you will find on the rest of the golf course. 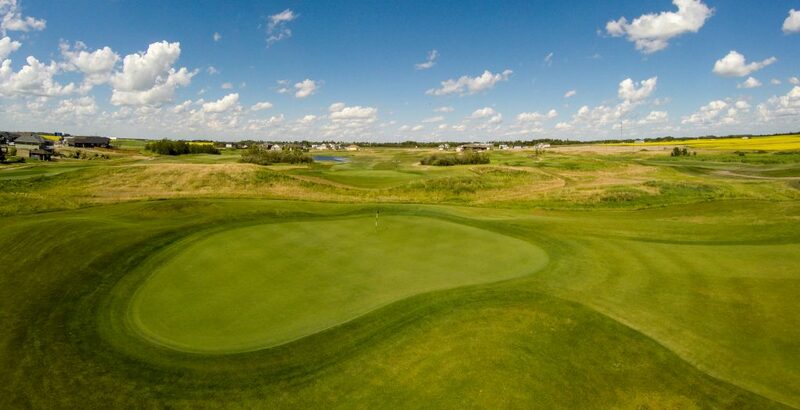 Tournaments: Whitetail Crossing specializes in customer service and outstanding playing conditions, and place a high importance on well organized events. With space for 15 to 150 people, Whitetail can cater to all types of events. Booking your tournament at Whitetail Crossing creates a “5 Star” atmosphere with strict attention to the finer details, making your guests’ day a memorable one. Whitetail season in north-central Alberta isn’t just about the search for big game anymore. 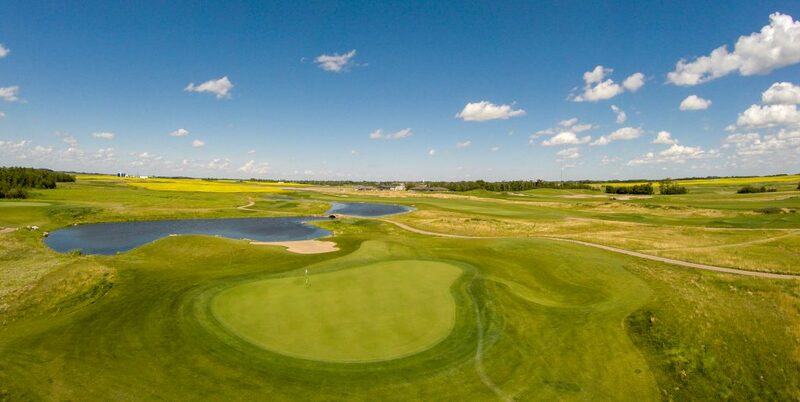 Rather, it’s now about seeking birdies at one of the newest premier golf courses in that part of the province. 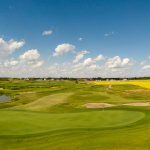 That bird hunt is taking golfers to one of the rising stars on the Alberta golf scene – Whitetail Crossing Golf Club – located in Mundare, east of Edmonton on the Yellowhead Highway. This track has already drawn rave reviews as a 9-hole facility so when it opens its back nine this summer, tee times could be as highly prized by golfers as a 10-point whitetail buck is to big game hunters. When fully completed in the early summer of 2011 the course will play slightly under 7,100-yards from the tips and down to around 5,600 yards from the front tees. In all there are four sets of tees. 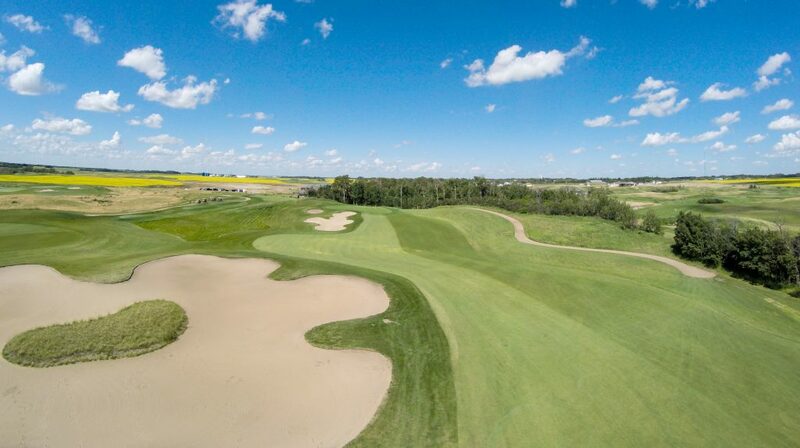 Regardless of yardage, the challenge of this links-style course remain intact through the concepts put into play by architect Grant Puddicombe of Puddicombe Golf, a company which is part owner of Whitetail Crossing along with Laurent LeBlanc. The designer used what nature provided to establish a layout that is totally aesthetically pleasing. “When we started Whitetail, the characteristics of the site that we capitalized on and worked at enhancing were some gentle hills, areas of native bush and the wetland feature which cuts through the back nine,” Puddicombe noted. In true links style, the front nine has no trees until the ninth hole, where a grove stands to the right of the fairway and behind the green but doesn’t really come into play. That lack of trees has been off-putting to some so that changes slightly on the back nine. “We incorporated four holes on the new nine that use native bush,” Puddicombe said. LeBlanc pointed out that the overriding characteristic of this must-play gem is nature itself. Full use was made of the native fescue grasses and the wetlands, accented by well-placed bunkers and large greens. “It’s open here, so the wind plays a big role on the front,” said LeBlanc. “Then the back nine has the four holes which go through some trees to give people a bit of relief. While there are a few trees they aren’t a big component of the course and that’s fine because this new beauty doesn’t need any cosmetic touches to make it a winner. “The key to convincing the unknowing golfer that no trees is a negative is to create fabulous greens and great playing conditions, couple that with staff that offer an all-round pleasant atmosphere and most will not notice,” the course architect expounded. 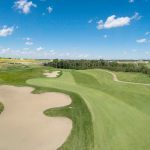 If the combination of Puddicombe Golf and the design of Whitetail Crossing sound somewhat familiar, that may be because of another course the company’s designed – RedTail Landing GC in Edmonton. Interestingly enough, one of the owners says he feels there are similarities between RedTail and Whitetail. The other says he doesn’t feel that way at all. However in a separate interview, Puddicombe said he doesn’t see the parallels as vividly. Whether you see a likeness between the two or not is up to you. What you should do though is view this new course firsthand, with a set of clubs at your disposal of course, and make your own comparisons without any regard to the minimalist approach to the use of trees. 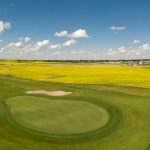 “A prairie golf course should be natural and tree-lined fairways certainly are unnatural in an area like Mundare,” Puddicombe said in closing. 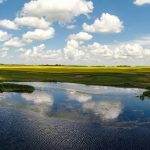 What he doesn’t say and doesn’t need to is that with natural wetlands and open spaces Whitetail Crossing offers it fits in seamlessly with the surrounding area and should become one of the “must play” tracks on everyone’s list.